A Sacramento chiropractor entered a guilty plea on charges that he was practicing medicine without and license and defrauding thousands of dollars from his victims. According to plea entered on February 9 with the Sacramento District Attorney's office, James Joseph Martin plead guilty to three counts of practicing medicine without a license, four counts of grand theft by false pretenses and misdemeanor charges of illegally using ‘MD’ and ‘physician’ in advertisements. Martin's infomercials (see below) appeared regularly on ABC10’s Sac&Co morning show. 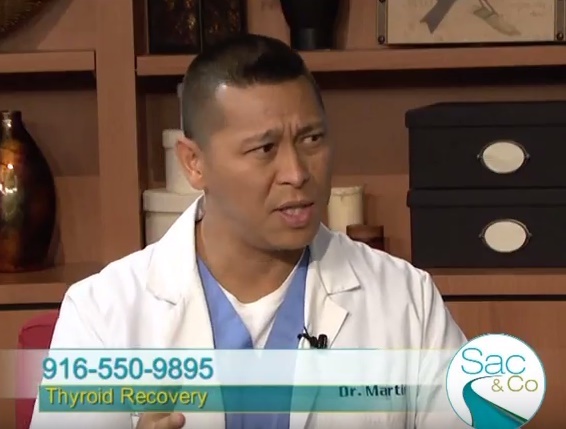 In those spots, Martin, a licensed chiropractor, portrayed himself as a functional neurologist who practiced metabolic or pastoral medicine, specializing in treating conditions of the thyroid, neuropathy and other health conditions. Several of Martin’s patients was under the impression he was a medical doctor. Some patients paid thousands of dollars for his treatment, which primarily consisted of Martin prescribing over the counter supplements and then selling them at a significant mark up. Martin will formally be on May 29 one year in jail and ordered to pay restitution to all victims named in the complaint. Additionally, he will be on felony probation for 5 years, required to surrender his chiropractic license and prohibited from portraying himself as someone who practices functional or pastoral medicine. No Comment to " Sacramento Infomercial Chiropractor Pleads Guilty to Fraud, Practicing Medicine Without Licence "